It’s a Long Guide! Read it carefully! 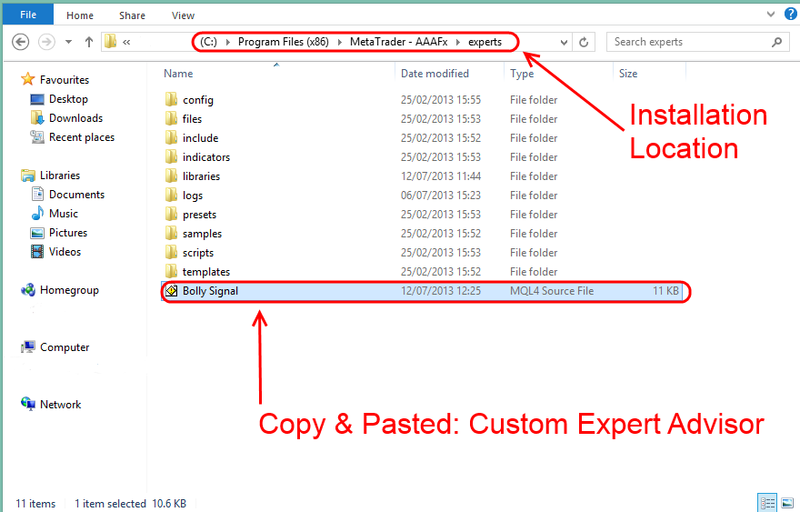 MetaTrader 5 from MetaQuotes was launched in 2010 and was intended to eventually replace the older MetaTrader 4 platform. So far the platform has had a very limited uptake among brokerages and hasn’t quite been the commercial success that MetaQuotes envisaged. However a number of brokerages have begun offering the newer MetaTrader 5 platform and in this article we are going to take a look at how the platform compares with its predecessor and other competing platforms. MetaTrader 5 comes with a new user interface after MetaQuotes made the decision to try and increase the platforms user friendliness. The user interface isn’t radically different and those who have used previous versions of the platform should feel right at home. MetaQuotes have made the decision to increase the size of the icons displayed above the charting area, in order to make it easier for users to find what they are looking for. The new design which focuses more on user friendliness has led to the charting area to become slightly smaller than in previous versions of the platform though it’s not something you really notice. The new MetaTrader 5 platform has an easier to navigate user interface, which should be a hit with those who haven’t used the MetaTrader platform before. The new easier to navigate interface should go down well with those who have used the MetaTrader platform in the past as it makes finding the tool you want to use significantly easier. Overall I welcome the changes made to the user interface with the only gripe being the smaller charting area, though this change is relatively minor and will go unnoticed by the majority of users. 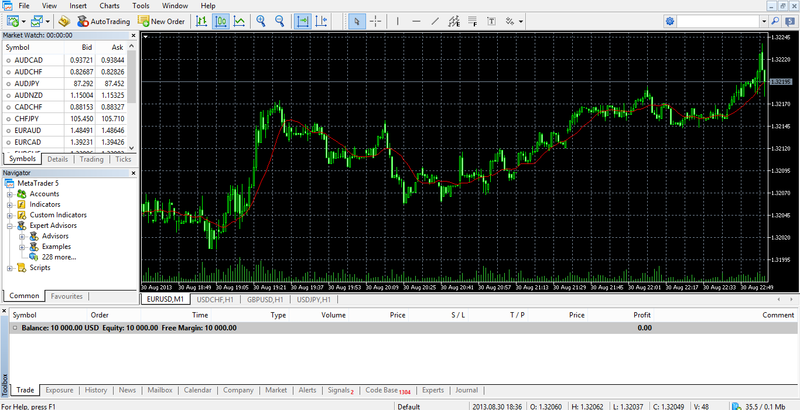 The platform allows for users to add a wide range of indicators to charts with a couple of clicks. The MetaTrader 5 platform divides technical indicators up into four main categories; Trend Indicators, Oscillators, Volume Indicators and Indicators developed by Bill Williams. All of the indicators supported in MetaTrader 4 are again supported in MetaTrader 5, with the newer platform also boasting a number of new indicators. For instance traders can use an increased range of moving average indicators with MT5 supporting the Fractal Adaptive MA, the Adaptive MA, the Double and Triple Exponential Moving Averages, and the Variable Index Dynamic Average. A range of other indicators have also been added to the platform giving traders increased choice when it comes to using technical indicators to inform their trading. In addition to the standard technical indicators available on the platform, traders can create their own custom indicators or alternatively download a huge range of custom indicators available freely online. The ability to create and download technical indicators allows traders to use indicators which aren’t already supported by the platform and has also led to traders producing some pretty unique and useful tools. The platform features a range of different objects which can be added to the charts on the platform. The majority of these addable ‘objects’ are common charting tools including various Fibonacci and Gann angle studies. 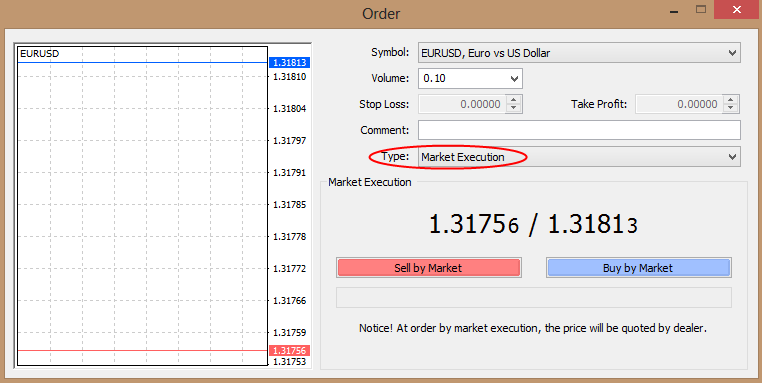 In this regard little has changed from MetaTrader 4 and those accustomed to the older platform will surely be pleased. As with previous versions of MetaTrader platform, traders are able to automatically trade the financial markets using programs known as Expert Advisors. However the platform doesn’t support Expert Advisors programmed in previous versions of the platform which is part of the reason why MetaTrader 5 hasn’t had a huge uptake among the trading community. Expert Advisors for MT5 are written in the MQL5 language which is more flexible and allows programmers to create more complicated Expert Advisors. This increased flexibility has come with increased complexity, with some programmers struggling with the move from MQL4 to MQL5. With STP and ECN brokerages becoming increasingly popular, MetaTrader 5 has introduced some basic depth of market functionality. Previous versions of the platform provided no way for traders to see any information regarding the Depth of the Market, however all of this has changed with MT5 introducing a new Depth of Market tool. 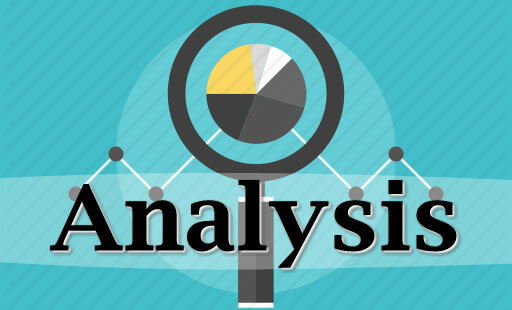 The tool allows for traders to see the Depth of Market and engage in one click trading using a depth of market ladder. While this added functionality will certainly appeal to some, cTrader still leads the field when it comes to depth of market functionality. Charts are now available in an increased range of time frames with the platform now supporting a wider range of timeframes. Of course the all standard time frames are still available, with the new range of timeframes simply giving traders increased flexibility. While MetaTrader 5 is certainly an improvement over the older MetaTrader 4 platform, there is not a massive amount of difference between the two platforms and those considering upgrading might quite reasonably decide it’s not worth it. 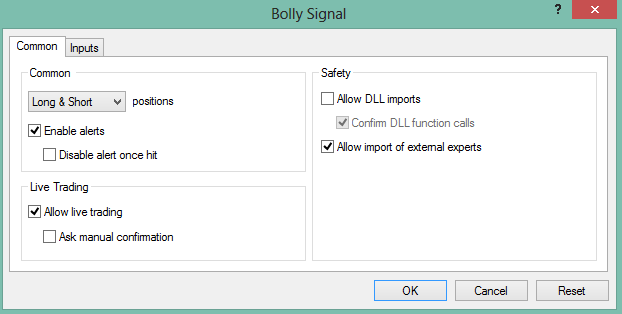 The lack of backward compatibility with MetaTrader 4 will mean traders will have to convert custom indicators and EA’s into the new MQL5 language which is no easy task. The increased range of indicators, timeframes and depth of market functionality will certainly be attractive to a number of traders, but whether it will be enough to see traders drop the older MetaTrader 4 in favour of MT5 remains to be seen. The MetaTrader 4 & 5 platforms from Russian software company MetaQuotes have come to dominate the retail Forex landscape, with the vast majority of retail FX brokerages offering the platform to their customers. Despite this the MetaTrader platforms have come under an increasing amount of competition with a number of other platforms starting to gain traction among traders. 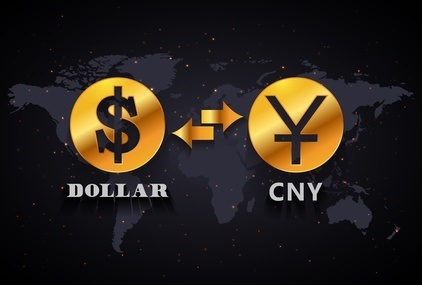 This led some to speculate that the company may look to release a new incarnation of their Forex trading platform to further cement their position as the leading retail FX platform. No official announcements regarding MetaTrader 6 have been released by the software developer, but a MetaQuotes representative did make mention that the company would be releasing a sixth rendition of the platform at some-point in the future. Despite this, MetaTrader 6 is likely to be in the very early stages of development something which again seems to be confirmed from an interview posted on the Russian language Forex site Trade Like A Pro. At the moment, the majority of the talk regarding MetaTrader 6 is pure speculation, with MetaQuotes having given very little away in regards to any specifics. It also seems likely that MetaTrader 6 platform is unlikely to be released for at least a couple of years. The brokerages MetaTrader 5 platform was only launched in 2010, and the uptake among brokerages still remains rather limited with many brokerages only offering customers the older MetaTrader 4 platform. It’s seems unlikely that MetaQuotes would launch a sixth version of their trading platform without first phasing out the older MetaTrader 4 platform. With so many brokerages relying heavily on the MetaTrader 4 platform and the vast array of bridging and plugin technologies available for the platform, it may be a while before it makes economic sense for MetaQoutes to part ways with MT4. It would also be unlikely that the software developer would want to support three versions of their trading platform simultaneously. I am Alex Lau, director of Lauren Capital in Hong Kong, interested in purchasing MT4 system, would you mind to contact me and provide me more detail of the system and quotation. I tried copying signal software to my Avatrade demo account. However,I was told by the account manager that it was not allowed. folder to copy my software to?